Welcome to our guide to Las Vegas weddings and Honeymoons. Here you will find great options for your Las Vegas Wedding and also cool itineraries to enjoy your Honeymoon in high style ! Las Vegas weddings are famous worldwide. Tourists from everywhere come to Las Vegas to enjoy a unique wedding experience. Now, you can choose from a great variety of Las Vegas wedding and have your wedding of your dreams, in your style and in your budget. 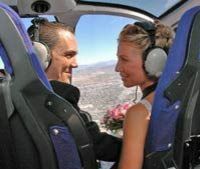 Valley of Fire with the red rock standstone will provide you a really romantic Las Vegas wedding. You will be transported by limousine and enjoy your special day without any worries. This will takes approx. 4 hours. 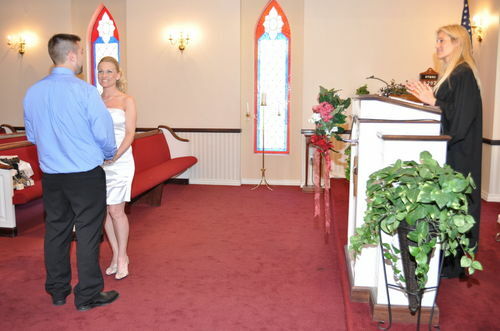 With a flexible duration, you will have a traditional Las Vegas wedding with A Special Memory Wedding Chapel. You will be transported by limousine to your marriage ceremony and even upgrade to include a photo tour for Las Vegas strip or have Elvis serenade you. What else can be more Vegas ? You can choose from three different packages and also include extra attractions in your marriage. Can you imagine the most special moment of your life in Grand Canyon ? You can say "I do" in this incredible place with stunning views to a marriage ceremony that you will never forget. A luxury limousine will pick up you in your Las Vegas hotel and transport you directly to your helicopter. Then you will fly in a six seat helicopter alomng 2 guests, your minister and a professional photographer. You?ll fly over Las Vegas, Lake Mead and world-famous Hoover Dam. This we can call of a lifetime experience.